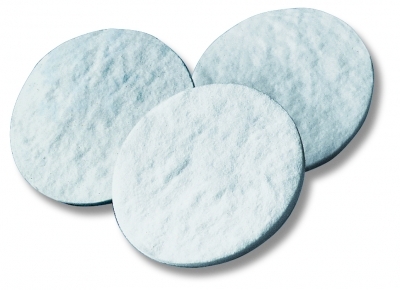 Glass fiber prefilters, depth pre filters, for larger totally filterable volumes in clarification and sterile filtration. 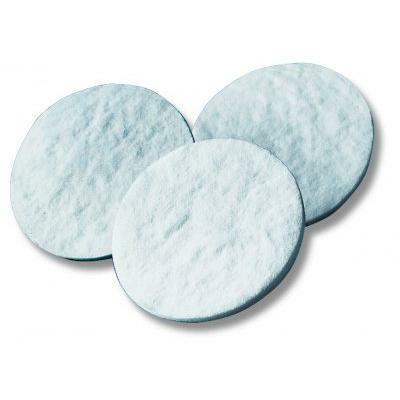 The major use of all three glass fibre filters is as a depth prefilter, placed directly on top of a membrane filter, whereby the prefilter diameter specified for the holder must be chosen. Larger diameters would intrude under the sealing ring of the holder and cause leakage. The standard type 13400 contains an acrlic binder. It has a high particle loading capacity, but for very dirty liquids the thicker type 13430 can be more effective. 13440 ia a finer , binder-free type and is recommended for the prefiltration of relative clean solutions such as tissue culture media.Serial filtration may be necessary for difficult-to-filter liquids such as serum. Flow Rate 4.1 to 4.4 sec.